Eden Hazard has brought the Blues back into the game at Stamford Bridge! Chelsea went down 1-0 through an opening goal from Saul Niguez, assisted by former Blue Fernando Torres on the 55th minute. But some smart changes from Antonio Conte and brilliance from the magical Hazard has saw Chelsea climb back into the match. 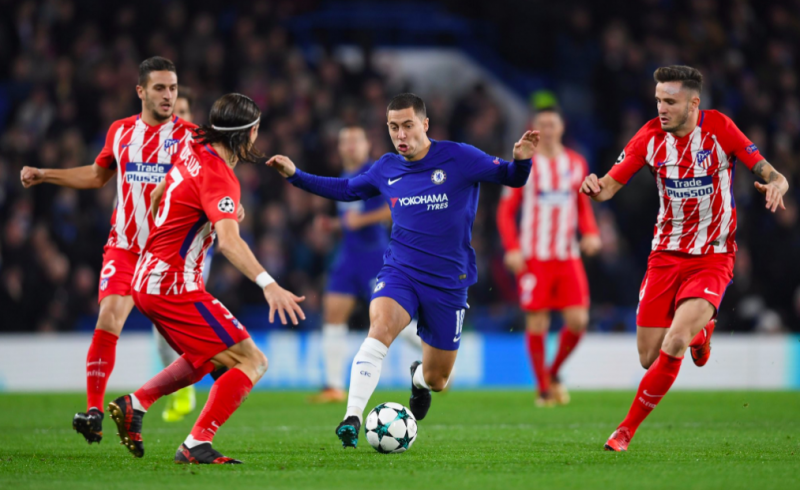 Hazard’s successful take-on against Gimenez was followed by a low cross into the area, which was struck into the own net by Stefan Savic. Come on Chelsea, get the win!